When I was designing newspaper pages years ago, our photographers knew that if they brought in a photo of a cute kid I would give it good play in the next day’s paper. I’m just a sucker for cute kids. And that’s one reason I was glad to get this photo to share with everyone this week. 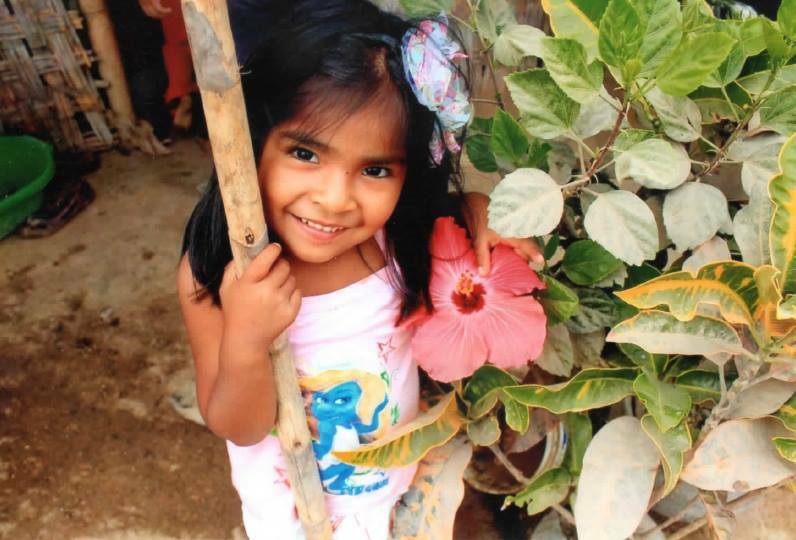 It’s Lizzy, who is getting a new Fuller Center house in Peru. But I didn’t share the photo just because she’s cute — after all, we have a huge library of cute Fuller Center kids! I shared it because of what Lizzy wrote on the back of the photo … and what other homeowners in Peru wrote to members of a recent Global Builders team that worked there. Team leader Crystal Manoske was kind enough to share the touching letters of gratitude, which you can read by clicking here. If you’ve ever been on a Global Builders or U.S. Builders trip with us, there’s nothing unusual in the letters — just the same ol’ expressions of love, friendship and gratitude. Of course, who can ever get enough of that … especially when it comes from someone whose life you’ve truly changed. That’s a “thank you” that resonates and stays with you forever. I encourage everyone to experience that gratitude by volunteering with us. Click here to find an opportunity. There’s no shortage! Just like there’s no shortage of thankful homeowners. Be sure to check FullerCenter.org next week for another way you can really help us … and connect with America’s service men and women.